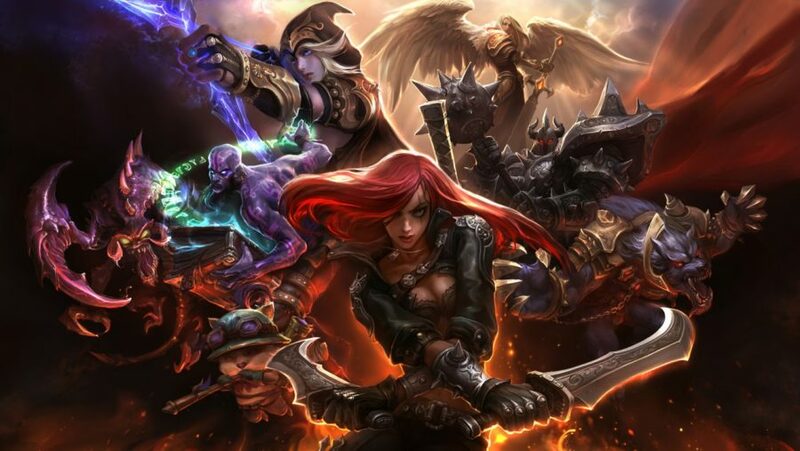 League of Legends’ champions are a confusing bunch, especially if you’re a new player. The Summoner’s Rift map can be a daunting place for those starting out on their MOBA journeys, especially when you find yourself dying over and over. With over 130 champions in the game, the freedom of choice can feel overwhelming. It’s going to take time to get to grips with how every champion plays, how they work together, and how to play against them. Luckily, the best way to learn all of this is to play the game and have fun! To begin with it is best to get to grips with the core concepts of the game. Play through League of Legends’ basic training and get familiar with the broader concepts such as minion waves, towers, skills, and items. Armed with this knowledge you’re now ready to start experimenting and finding the League of Legends champions that click with you. To help you, we’ve put together a list of characters that are considered both strong and newbie friendly, from across all of LoL’s main disciplines: fighters, tanks, mages, supports, marksmen, and assassins. Each champion has a specific area of the map they are best suited to – the top, middle, or bottom lane, or the jungle – and so we’ve split them into these relevant categories. What are League of Legends champions? A champion or hero in any MOBA is the character on the map that the player controls. Each one is unique, and possesses at least – but is not limited to – four abilities which are triggered by the Q, W, E, and R keys. All champions possess one ability that is stronger than the others, known as an ‘ultimate’, which has a long cooldown and can only be used occasionally. In League of Legends there are over 100 different champions to choose from. Much like an MMO or class-based shooter, these can be divided into categories which pertain to the unit’s purpose within the team. Some are marksmen, some are mages, others are damage-absorbing tanks, and some champions don’t comfortably fit into any of these descriptions. In a standard League of Legends match there are five champions per team. Each champion’s abilities are steadily unlocked and then upgraded by earning experience and buying items using gold. Key to both of these enhancements is the killing of minions – AI-controlled monsters that attack enemy fortifications and champions. Kill scores of minions in addition to racking up kills against the enemy team and your champ will become extremely powerful in no time at all. What are roles in League of Legends? On League of Legends’ main map, Summoner’s Rift, there are five main roles, all of which play very differently. These are based on your physical location in the map, whether that’s in the top lane (‘top’), middle lane (referred to simply as ‘mid’), bottom lane (‘bot’) or jungle. But that’s only four roles, surely? Well spotted. For various reasons, the bot lane is home to two players, rather than just one. One of these is called the AD Carry (short for Attack Damage Carry), and the idea behind this guy is that they’ll eventually carry the team to victory using their overwhelming attack damage. In order to do this, however, they first need to be protected through the early game in order to level up and buy the items needed to hit their power spikes. Which is why the AD Carry is always joined in the bot lane by the support. This is the only character on the Rift whose job isn’t to murder people, but to set up kills for the AD Carry and keep them protected and well fed so they can get strong as soon as possible. This allows the AD Carry to last hit minions and farm gold, knowing that the support has their back should anything untoward happen. The Summoner Spells most commonly used with these roles reflects this. Flash is a spell that almost everyone uses. It’s an instant blink teleport that can quickly get you out of trouble, or get your enemy into trouble by closing the gap between you. It has a long cooldown so use it wisely. The AD Carry will almost always take Heal, too. Their biggest job in the early game is to stay alive and not let the enemy AD Carry kill them, because that will feed them gold and hasten their ascent to power. Heal gives you a burst of healing (obviously), but also dramatically increases your movement speed for a short period, allowing you to hopefully manoeuvre away from danger. Meanwhile, the support will take Exhaust, which does basically the opposite. It lowers an enemy’s movement speed to a crawl and drops their defensive stats, attack speed and damage output significantly. Use this to slow an escaping enemy or to turn a losing battle into a victory. While the AD Carry and support buddy up in bot lane, on the other side of the Rift the top lane can feel like a lonely place, far from the action. It’s here that the top laner bruisers live. Tanky melee fighters who can give a beating as well as take one. Because of its secluded location, top laners tend to take Teleport as their secondary Summoner Spell alongside Flash. This allows them to jump into team fights anywhere on the map at a moment’s notice, lending some front-line damage output and acting as a meat shield. Or just to go in search of a friend should they feel too isolated. In the mid lane you’ll meet the mid laner mages. Spell slingers with high damage output that comes from accumulating large Ability Power stats, which increases the potency of their skills. The most common Summoner Spell for mid laners, alongside Flash, is Ignite. This deals burn damage over time, which is handy if you get into a scrap with your lane opponent and they manage to sneak away with not much health. There are few things more satisfying than watching an ignited player scurry under their tower to safety, only to die to the inevitable ticking of Ignite’s damage. For mid laners who are less interested in playing aggressively, Teleport is a decent alternative to Ignite. Some mages do scary amounts of damage and can jump in and out of combat nimbly, so suddenly having them Teleport into your lane can be unnerving at best and terminal at worst. Finally, the jungler lives in the spaces between lanes, where neutral monsters roam. Their job is to hide away in the shadows, farming money from the Rift’s more aggressive fauna and jumping out to surprise enemies in each of the three lanes. This is called ganking. There are also some neutral objectives that the jungler is expected to keep under their control. Each side of the jungle has a blue buff and a red buff – these are large monsters that grant you temporary boosts when you kill them. Blue buff grants cooldown reduction for your abilities, increased MP regeneration, and additional Ability Power. While the red buff slows enemies hit by your basic attacks, as well as deals additional damage over time to them. It also heals you if you stay out of combat. They’re pretty powerful buffs so make sure you use them. As a jungler you’ll need to take Smite as a Summoner’s Spell, otherwise you’re going to have a really hard time. That and Flash should sort you out. As with all of this, there are exceptions to everyrule, but consider this a solid groundwork on which to build more specialist knowledge as you play. What role should I play? All of them! There’s so much choice in League of Legends that the best way to play is to experiment with as much as possible. Different roles, different champions, different builds. You’ll soon find out which play styles you click with. Sticking with a single character is a surefire way to get stuck in a rut. Plus, it’s a great way to become enraged should your only main get banned out in champ select. Top tip: Sometimes you’ll find that you have difficulties when faced against a specific champion time and time again. You don’t understand how they work and they’re consistently getting the best of you. When that happens, try playing as that League of Legends champion. Doing so will give you insight into their abilities and play style, so you’ll know what to expect when you face them next time. The most important thing is to have fun. If you’re not, then you should try changing something up. Sometimes playing a different champion can feel like you’re playing a totally new game. Garen is naturally tanky, his W giving him bonus defensive stats. His passive, Perseverance, allows him to regenerate health much faster than other champions, which means you can stay in the lane longer. But he can also put out a lot of damage, especially if you’re able to chain your offensive abilities together. Q – Decisive Strike: Decisive Strike is basically a really big smack with Garen’s really big sword. So big, in fact, it silences enemy champions, stopping them from being able to cast spells for a few moments, giving you an advantage in duels. Decisive Strike also removes all slows from Garen, and speeds him up for a few seconds, so it’s quite useful for getting out of a tricky situation. W – Courage: Passively gains armour and magic resist every time you kill a unit, making Garen’s W worth around 600 gold in stat bonuses. When activated, it reduces incoming damage, and allows Garen to escape from stuns and snares faster than normal. E – Judgement: Garen spins very fast, dealing damage to everyone nearby up to ten times. Useful for dueling as enemies find it difficult to escape, and also for killing large groups of minions quickly. R – Demacian Justice: Garen brings a sword down on his opponent, dealing extra damage for all the health they’re missing – a few characters use this ‘Execute’ technique, but none so powerfully as Garen. It’s good at teaching you to wait until the right moment to use your ultimate, as it won’t do much damage if you use it too early. 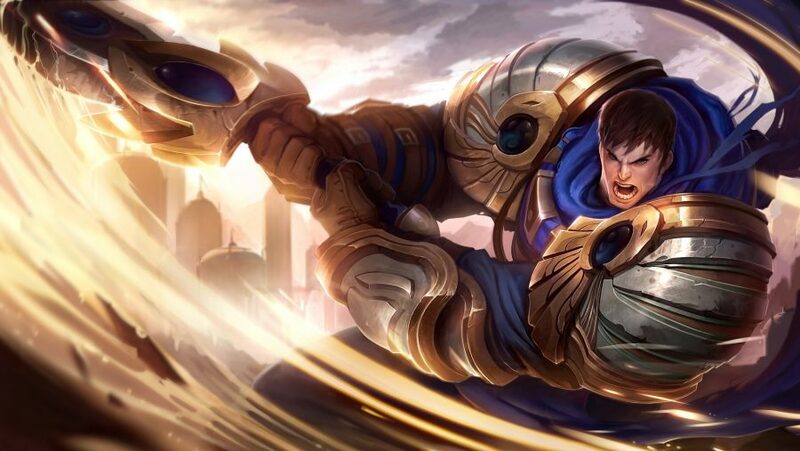 Garen’s innate tankiness makes him a good champion to help you learn to navigate the often-isolated top lane. He struggles against ranged champions, but if you manage his skills well he can hold his own against most melee champions. There aren’t many characters in League of Legends who can withstand the repeated use of Decisive Strike and Judgement, and it doesn’t take long to whittle your opponents down to a point where you can finish them off with your ultimate. If things aren’t going your way then make use of your defensive capabilities. Garen has the ability to gain defensive stats passively, and the fact that he automatically builds armour and magic resistance helps him out against anyone he might come up against. If you find yourself losing fights, you also have lots of potential escape routes. Using your E discourages people from getting too close, and using your Q lets you put some distance between you and your enemies. Your W boosts your defenses for six seconds, also helping you escape. Once you’re safe, Garen’s health regeneration is one of the highest in the game, so stay out of trouble for a while and you’ll quickly be back to full health. When it comes to items, there are two that are perfect for Garen. Sunfire cape deals magic damage to enemies around you every second, and The Black Cleaver lowers your opponent’s armour by up to 24%. These both synergise perfectly with Garen’s E, and are crucial items for almost any build. Nasus can be played in a variety of ways. Like Garen, he’s naturally quite tanky, but can be built Ability Power (AP) or Attack Damage (AD) as well. His passive, Soul Eater, gives him lifesteal for free, also allowing him to stay in lane longer. Q – Siphoning Strike: Every time you kill a unit with this ability it gets permanently more powerful. That means it’s great for learning how to last-hit, because as well as gold they now grant you direct power. W – Wither: Wither is a massive slow, enabling Nasus to have huge impact on team fights if he can get close enough to his targets to use it. It synergises well with all of Nasus’ other abilities, and also allows him to work well with his team-mates. E – Spirit Fire: Big Area of Effect spell which you can use for multiple purposes – zoning enemies away, killing minions, or using as consistent damage in a fight. 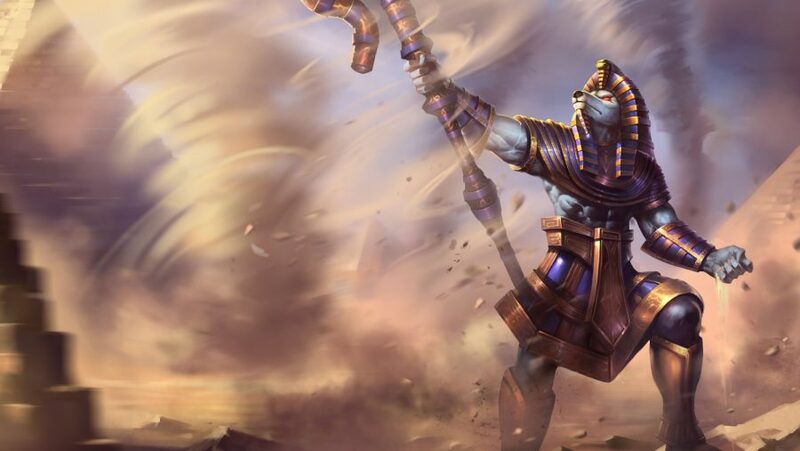 R – Fury of the Sands: Nasus grows in size and gains health, making his ultimate useful in both offensive and defensive situations. It also allows him to cast his Q more often, making him a potent threat in teamfights. There are two popular ways to play Nasus. One of those is by focusing on his magic damage, using his E, Spirit Fire, to chip away at your enemies’ health before moving in for the kill. The second is by farming up his Q, a late-game tactic that sees you become more powerful over time. Focusing on farming means that you learn a number of useful skills by playing Nasus. The first is last-hitting, which is the best way to earn gold and become able to buy items. You have to last hit in order to power up your Q, but as the ability gets more powerful, last-hitting becomes easier. However, you also have to make sure to keep an eye on your mana as using lots of spells, unsurprisingly, uses lots of mana. That means that you can’t just spam your abilities repeatedly, so you have to carefully manage your need to power-up with your ability to fight at all. This makes items like Iceborn Gauntlet and Trinity Force very important for Nasus. Both provide Nasus with cooldown reduction (CDR), which lets him cast his spells more often, but also mana, letting him cast more of them, too. They also provide other bonus, such as empowering auto-attacks or granting extra armour. Shyvana has some of the quickest jungle clear in the game, and her passive, Fury of the Dragonborn, allows her to do more damage to dragons while also getting bonus stats for each one she kills. Her ganks are best after she reaches level six, but she remains a threat even before then thanks to the speed boost on her W. She can also be built depending on what your team needs – tanky if you want, but also capable of dealing plenty of damage. 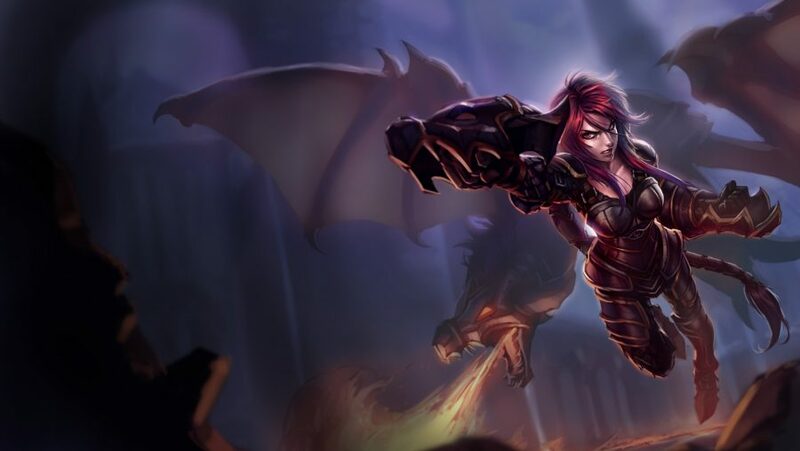 Q – Twin Bite: Shyvana completes two basic attacks at once, dealing double damage and applying two stacks of any on-hit effects. Twin Bite is also an easy way to learn how how to reset auto-attacks to deal the most damage possible. W – Burnout: Shyvana is encircled by fire, which does damage over time while also speeding her up. This makes her jungle clear incredibly fast, and also means she’s able to stay much healthier than other junglers in early stages of the game. This means you’re not likely to die to camps, wasting your time, and can focus more on farming and helping your allies. E – Flame Breath: This simple skillshot allows Shyvana’s basic attacks to do more damage, so it’s good for teaching you to use multiple abilities together when used alongside Twin Bite. R – Dragon’s Descent: Shyvana literally turns into a dragon, gaining health and knocking back enemies. This spell has multiple uses, allowing you to ambush lone enemies, protect allies, or initiate teamfights. It also empowers other abilities in easily understandable ways, helping you learn to use other champion forms in a less complicated way than Elise or Nidalee. Shyvana’s passive makes her more powerful the more dragons she kills. That means she’s excellent at teaching a very important skill – objective control. 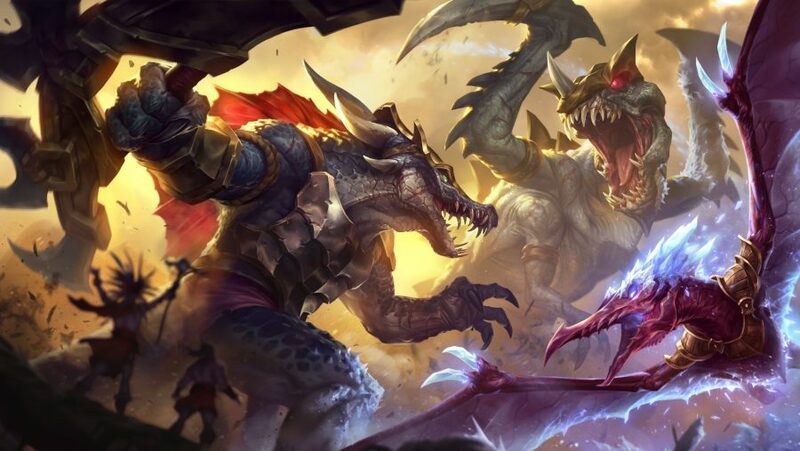 In the early game, dragons grant your team powerful bonuses that stack over time, and keeping track of when they spawn and jumping on opportunities to take them is key to giving Shyvana, but also your entire team, an advantage. In the jungle, few champions can clear as fast or as well as Shyvana. That gives her an advantage in the early game after she’s taken all of her jungle camps, and allows you to increase pressure on enemy laners. It’s worth noting that her lack of Crowd Control (CC) before level six means you need to work closely with your teammates in order to secure kills. Shyvana is easy to play situationally. If your team is behind, or doesn’t have many tanks, it’s worth building a Stalker’s Blade with the Cinderhulk enchantment. This gives Shyvana the damage to kill jungle monsters, and a little bonus CC, but also the health and damage over time to survive a little longer. If you’re doing well, however, it might be worth building the Warrior or Bloodrazor enchantments, giving you more damage or attack speed. Volibear’s not as fast as Shyvana, but he is good at surviving the jungle. 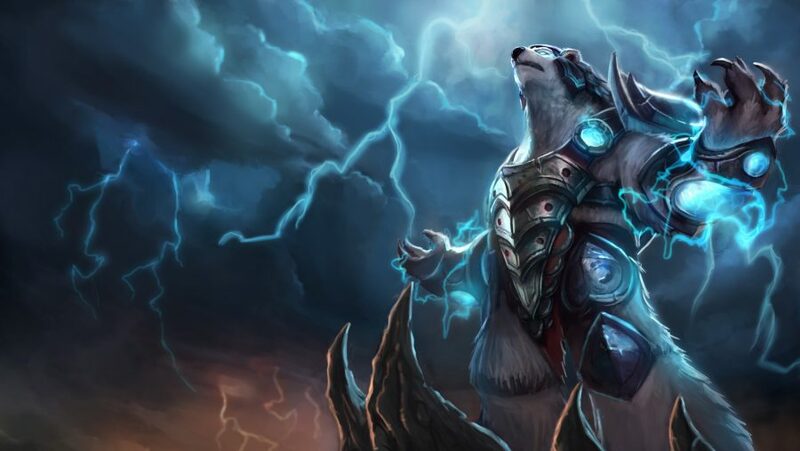 His passive, Chosen of the Storm, lets him gain health every so often if he falls below a certain threshold, and can also be used in teamfights. His ganks are reasonably strong, and he can be built either offensively or defensively, depending on what your team requires. Q – Rolling Thunder: Volibear drops to all-fours, gaining speed and throwing the first enemy he reaches backwards. This is a useful ability for engaging teamfights, but requires you to wait for the right moment and make sure you pick the right target. W – Frenzy: Volibear gains attack speed, stacking every time he attacks, up to three times. At three stacks, he can bite an enemy, using a lower-damage version of the execute mechanic mentioned above. It’s useful in fights in the jungle, but also with other champions, as long as you can survive long enough to use it most effectively. E – Majestic Roar: This slows enemies around Volibear, and fears minions and jungle monsters. This makes Majestic Roar very useful in the jungle, as monsters will stop attacking Volibear, but is also useful when used alongside Rolling Thunder. R – Thunder Claws: Volibear deals chain lightning damage, bouncing from enemy to enemy with every basic attack, attacking up to eight people. That means Volibear can deal damage to the entire enemy team with just his basic attacks, something very few other characters are able to do, making him a threat even if he’s caught in the middle of a teamfight. Volibear’s Q is the most useful bit of his kit. It can get him out of trouble, but it can also single out enemies very effectively in a teamfight or skirmish. Closing down a squishy target and flinging them backwards into the rest of your team is very useful for picking off important enemy players and giving your team a numbers advantage. It’s important to remember that, while Frenzy has a passive element, its active can only be used once Volibear has completed three basic attacks. That doesn’t take very long, but don’t expect to be able to use it straight away. It’s also on a long cooldown, so make sure you use its execute mechanic at the wrong time. Due to his W and his ultimate, attack speed is an important part of Volibear’s kit. The faster you can attack, the quicker you can activate your W, and the more damage you’ll deal with your ultimate. This makes Wit’s End, which increases your attack speed while lowering your enemy’s magic resistance, an important buy. Also useful is Spirit Visage, which increases the effectiveness of Volibear’s passive. Annie embodies a lot of what it is to be a mid laner. Strong crowd control and high burst-magic damage are the payoffs for minimal mobility, but good timing and target selection can swing entire games in Annie’s favour. Q – Disintegrate: Annie fires a firebolt at an enemy. If she kills it, she refunds the mana cost and half of the cooldown immediately. 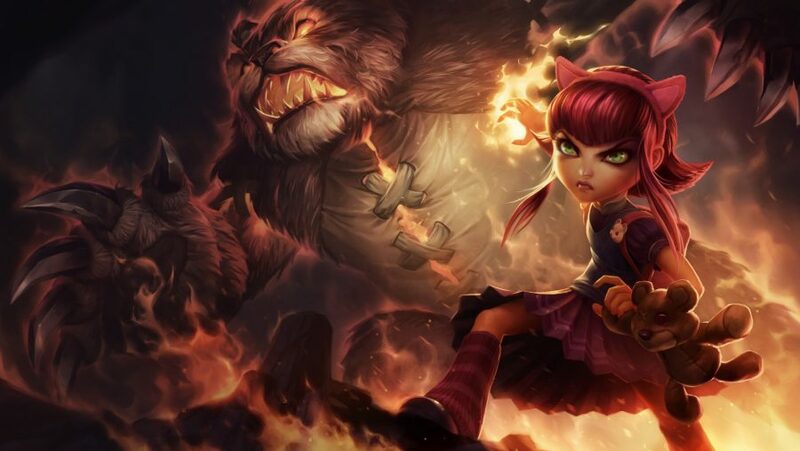 This means Annie isn’t as dependent on mana as many of her mid lane counterparts, as long as she’s clever about when she chooses to attack her opponents. W – Incinerate: Annie fires out a cone of fire, able to hit large groups of enemies at once. Timing this with her passive, which gives Annie a stun on every fifth ability cast, can give Annie access to two team-wide stuns if she can chain it with her ultimate. E – Molten Shield: Annie wraps herself in a shield of flame, reducing damage taken and dealing damage to characters who basic attack Annie while her E is active. Molten shield is very useful for helping Annie to protect herself in lane, while also helping her stack her passive. R – Summon Tibbers: Summoning a huge, demonic version of her teddy bear, Tibbers, Annie does a burst of damage, before dealing consistent damage to nearby enemies throughout the 45 seconds Tibbers is active. Tibbers’ AoE damage and relative tankiness means that he’s a very useful introductory pet, easier to use successfully than Yorick’s Maiden or Shaco’s clone. Annie’s crowd control makes her very good at initiating team fights. Once you’ve used four spells, you’ll have charged up a stun that activates on the next damaging spell you cast. This means that you can use Disintegrate or Incinerate to stun enemies, and then immediately drop Tibbers on them, starting the fight with a huge amount of burst damage. Annie’s long range and high CC might make her good at starting fights, but be careful – if she gets caught out she only has her Molten Shield to protect her, and no real means to escape. To get the most out of Annie’s damage, you want to build as much Ability Power (AP) as possible. For this, you’ll want to pick up Rabadon’s Deathcap, which gives you lots of AP by itself, but then also increases your total AP by 30%. You can also build items like Luden’s Echo, for extra burst and splash damage, or Void Staff to counteract tanky foes. Morgana is a utility mage. 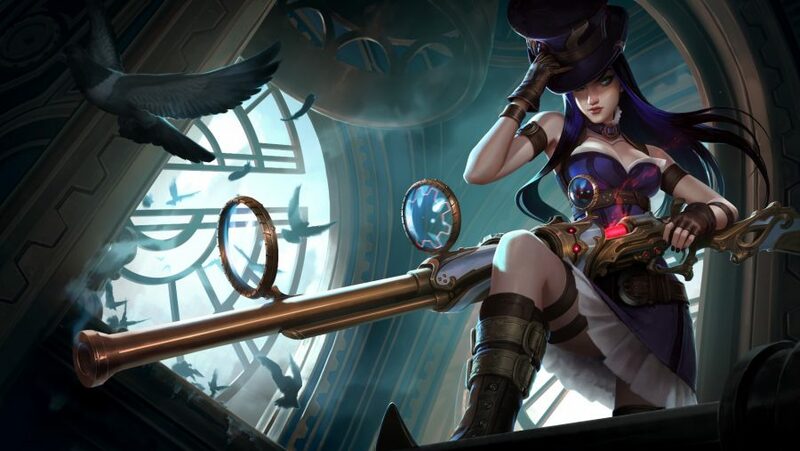 While Annie is able to output huge amounts of damage, Morgana’s appeal is that she has a few extra tools at her disposal that make her great for the mid lane. It’s part of why she’s a viable support champion, but due to her high magic damage, for this list we’re classing her in the role she was initially released in. Q – Dark Binding: The first enemy unit hit by this spell can be rooted in place for up to three seconds, which is an eternity in League of Legends. This allows Morgana to be an important part of initiating fights in the late game, as long as she can bind a weak target. W – Tormented Soil: Morgana casts a small AoE spell that damages everyone who stands on top of it. Tormented Soil can be used alongside Dark Binding to deal large amounts of damage to enemies unable to move away from the damaging area, making this a simple but effective combo to pull off. E – Black Shield: Black Shield makes Morgana’s allies immune to crowd control and absorbing magic damage while it holds. She can also cast it on herself if she’s caught out, and while it requires fast reflexes to use successfully, it’s a powerful spell to have on your team. R – Soul Shackles: Soul Shackles teaches a few things. First, timing – you can only use Morgana’s ultimate when enemies are nearby, making sure you can’t completely mess it up. 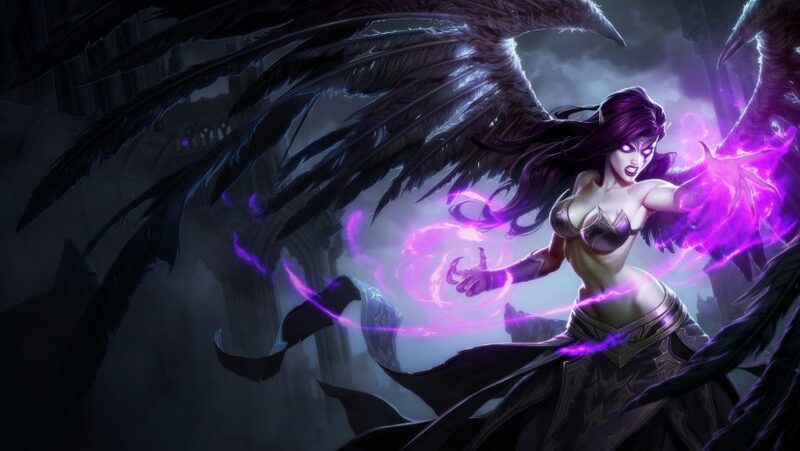 Second, positioning – Morgana is most effective when she can damage and stun multiple targets with her ultimate, which often means being in the thick of the action. Finally, activatable items – most of LoL’s items are passive, automatically granting boosts to your stats. Some, like Zhonya’s Hourglass and Hextech Protobelt, are very useful when used with Morgana’s ult. Good aim and quick reflexes are key to Morgana. You’ll need to hit enemies with her Dark Binding in order to get the most out of her kit, quickly following up with Tormented Soil to maximise the damage you deal. You’ll also need to make sure you react quickly when your allies are in danger, rooting enemies with your Q, or shielding allies with Black Shield to keep them safe. Like I mentioned above, items like Zhonya’s Hourglass and Hextech Protobelt can be used effectively with Morgana’s ult. Protobelt dashes you forward a short distance, getting you within range of your enemies while also dealing a little bonus damage. Once you’ve cast your ultimate, you’ll want to activate Zhonya’s, freezing you in place for 2.5 seconds. During this time you can’t move, but you also can’t take damage, so you’re safe even if you’re right in the middle of the enemy team. That does mean that you have to trust your team. Morgana works best when she’s with friends who can capitalise on her long stuns, and also back her up when she engages. Make sure you communicate well before committing with your ultimate because you don’t want to be surrounded by enemies when the stuns wear off. Caitlyn is, for the most part, the champion with the longest range in the game. She can be surpassed by Tristana and Kindred, but that’s not until very late into the game, so most of the time she can deal damage even when she’s a long way away from potential threats. She has a reasonably simple kit, relying on her auto-attacks to do the most damage. Q – Piltover Peacemaker: Caitlyn fires a skillshot that deals damage to enemies in a line. That’s kind of it, although it does do more damage through the first enemy it passes through. W – Yordle Snap Trap: Caitlyn’s W has multiple uses. It can be used to discourage enemies from going to certain places, can offer limited vision, and most importantly, roots enemies in place. Enemies stuck on a trap also take more damage and are revealed to Caitlyn, meaning it’s a very useful spell. E – 90 Caliber Net: Caitlyn fires a heavy net at an enemy, slowing them down but pushing her in the opposite direction. This makes it a handy escape tool, but don’t try to use it to chase down enemies – it doesn’t make you any faster. R – Ace in the Hole: Caitlyn pauses for a second, lining up the perfect shot, and then firing a big bullet which deals bonus damage over a long range. She can target any champion she can see as long as they’re in range, but Ace in the Hole also teaches patience, a key skill for a lot of ADC ultimates. Other enemies can intercept the bullet by moving in front of it, so don’t fire it at enemies if they aren’t on their own. ADCs need to stay as far away from the fight as they can. Hopefully, your team-mates will protect you, but you’re arguably the most high-profile target on your team, and getting too close to the fight is a great way to die very quickly. As Caitlyn, use your W, E, and extremely long range to stay out of trouble while still outputting a lot of damage. Caitlyn’s range is also useful for sieging. This is what happens before fights start, when teams are waiting under towers for somebody to get caught out. Caitlyn can use traps to act as impromptu defenses, but can also use her Q to deal damage to enemy champions and clear waves of minions. AD Carry builds are arguably the least diverse in the entire game, with many items working across the board. For Caitlyn, as with many others, you want attack damage (AD) and attack speed, in order to deal the most damage per second (DPS). That means you want to build Infinity Edge, which comes with lots of AD, as well as the chance to deal a critical hit. These are powerful attacks that normally deal double damage, but Infinity Edge bumps that damage up to deal 2.5 times as much damage as normal. You’ll also want to build Runaan’s Hurricane, which spawn up to two extra damage-dealing bolts, to enhance Caitlyn’s DPS even further. If Morgana is a utility mid-laner, Ashe is a utility ADC. A combination of CC, vision, and AoE spells make her a rarity in the bottom lane, and her ultimate is one of the most powerful stuns in the game. Q – Ranger’s Focus: Ashe builds up to four stacks as she auto-attacks. At four stacks, she can activate the ability, gaining attack speed and attack damage. This gives her a handy boost in solo duels and can often take enemies by surprise. W – Volley: Ashe fires a volley (imaginative, we know) of arrows in a cone in front of her, which damage and slow the first enemy they hit. This is the biggest part of Ashe’s poke, allowing her to clear minions and damage enemies from afar in order to help her team defend objectives like towers. E – Hawkshot: Ashe can store up to two Hawk Spirits at a time. She can fire these at a point on the map, granting her team vision in the path of the spirit, and then for five seconds when it arrives at its destination. Vision is one of the most important aspects of League of Legends, and can decide entire matches, and Hawkshot is one of the longest-range vision-granting spells in the game. R – Enchanted Crystal Arrow: Enchanted Crystal Arrow can be fired across the entire map. For one thing, that allows you to pull off some incredible long-range snipes, but when it arrives, it can stun opponents for up to 3.5 seconds. That rounds out Ashe’s kit nicely, giving her multiple CC options and the ability to start fights rather than finishing them, something quite uncommon among ADCs. ADCs are often a similar bunch, and while there are a few – like Jhin or Lucian – who do a lot of spell-based damage, many simply want to auto-attack as much as possible. That means Ashe also needs to hang towards the back of the fight, but unlike Caitlyn, she can start them. You can use your W to poke enemies and clear minions, but when you decide the time is right, you can fire your ultimate. This impressive ability shoots all the way across the map, but stops when it hits its first enemy target, stunning them and offering your team someone to engage on. While it’s good for starting fights, it’s also good at finishing them – don’t be afraid to fire it point blank at an enemy, allowing you to finish them off while they’re stunned. 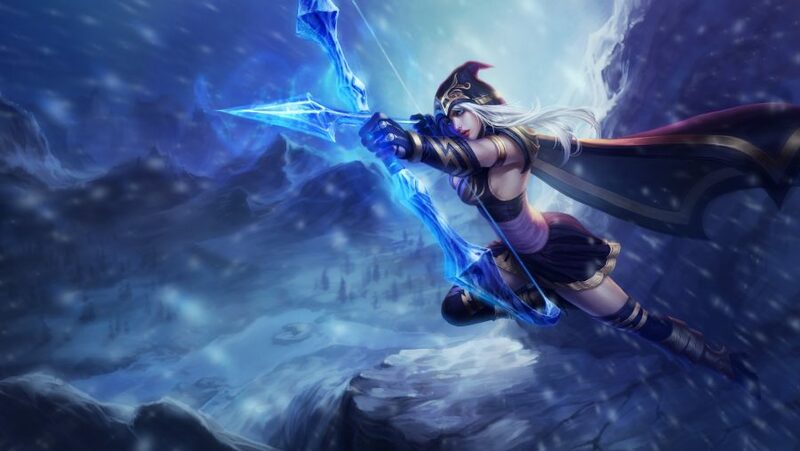 Like Caitlyn, Ashe should also probably be building Infinity Edge and Runaan’s Hurricane, but now I want to focus on two different types of item. You’ll want Lifesteal, which heals you based on the amount of damage you do, and which you can get from The BloodThirster. ADCs are also important for dealing damage to tanks, so items that shred armour or do damage to enemies with more health than you are very important. With that in mind, Lord Dominik’s Regard is a very useful item on any ADC as, helpfully, it does both of those things. Leona is arguably bested only by Nautlius in the amount of CC built into her kit, which makes her excellent at starting fights, but also at looking after her ADC. Her shield also means she’s able to wade into a battle with minimal personal risk. Q – Shield of Daybreak: Leona bashes an enemy with her shield, stunning them for a short time. When comboed with her E, this gives Leona an excellent way to lock down a single target, but she can also use it to allow her team-mates time to move away from a threat. 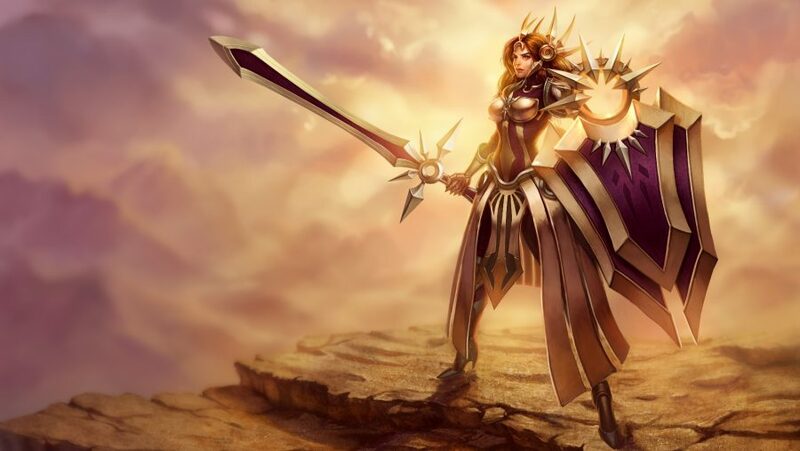 W – Eclipse: Leona grants herself a shield, reducing incoming damage by boosting her stats. Again, used with her E, it lets Leona get into the fight without getting into too much trouble. E – Zenith Blade: Firing a skillshot, Leona dashes to the last target hit and stuns them. As mentioned above, this is an important part of her kit, and is a big part of allowing Leona to engage fights. R – Solar Flare: Leona calls down, well, a Solar Flare, stunning enemies caught in its centre and slowing those on the outside. It’s a useful tool for starting fights, peeling carries, and also zoning areas of the map off to help or hinder escapes. Leona comes from the tanky, CC heavy brand of support. That means she can get involved in a fight, but you’ll need to be careful not to go too far, too fast. Engaging without a team to back you up is a sure-fire way to get yourself killed very quickly. You also need to remember that part of your job as a support is to look after your ADC, so it’s important to know that a big engage might benefit your team initially, but also puts you a long way from your carry. Always look to assess the threat to your team before jumping on the first badly positioned enemy. A big part of any support’s job is helping supply vision to your team and denying it to the enemy. All champions should be buying and placing control and trinket wards, but anyone playing support should also at the very least have a Sightstone and a Hextech Sweeper. Leona’s kit demands that you make her tanky, so a Locket of the Iron Solari is good for buffing her stats while also granting her and nearby allies a shield when activated. You’ll also want a Face of the Mountain, an item that builds out of starting item Relic Shield, providing health, sustain, and money to you and your carry. Janna has a little bit of everything built into her kit. Heals, shields, knockups, knockbacks, slows, buffs, and even speed boosts. In fact, the only thing she doesn’t have is a stun, but her sheer versatility makes her an excellent support, although she does have to take care not to get caught out. Q – Howling Gale: Janna summons a whirlwind that moves in a target direction, knocking up all enemies it passes through. That means it’s good for starting a fight, but also useful for making a hasty retreat. W – Zephyr: Zephyr allows Janna to slow an enemy by up to 80%, allowing allies to either escape or chase targets down. 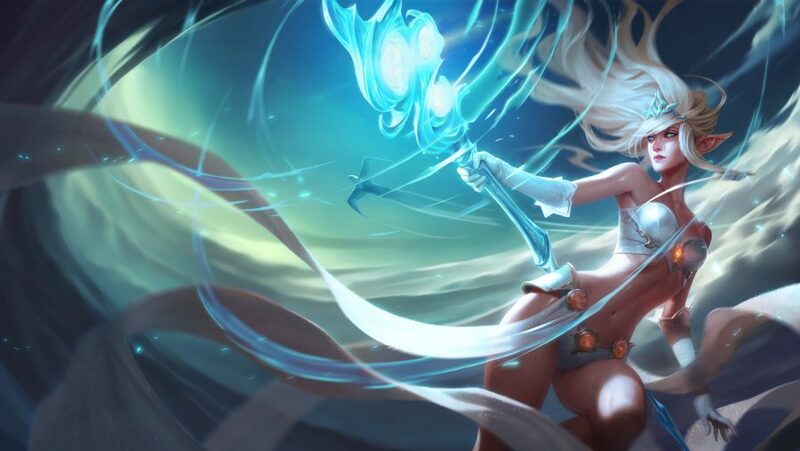 E – Eye of the Storm: Janna grants a shield to herself, her allies, or even allied towers, absorbing damage but also boosting their attack damage while the shield holds. This is especially useful in sieges, as it allows Janna to hold towers, but also to help her allies take them faster. R – Monsoon: Janna roots in place, knocking back all enemies in a large area around her. While she stands still, allies in that area also heal over time. Monsoon is a powerful tool, able to turn around team fights by inhibiting enemies while simultaneously helping out allies, but it does require Janna to stand still while it channels, putting her at risk if she’s in the wrong position. Janna occupies the other school of supports. She’s much squishier than Leona, but the diversity offered in her kit lets her protect allies better than almost any other support. ‘Peeling’ for a carry means making an effort to look after them when enemies close in, and the wide-ranging amount of tools at Janna’s disposal make her excellent at this. Janna can protect, but she can also help allies chase down enemies. She’s extremely fast, and passes that speed boost onto her team when they’re moving towards her. Her Q and W offer ways to stop an enemy in their tracks, and you can then buff an ally by granting them a shield to help whittle down enemies faster. Sightstone and Locket are good items on Janna, but you might also want to look into Frost Queen’s Claim, which grants Janna an extra slow. Aether Wisp is another option as it gives extra damage to allies when Janna heals or shields them, adding a further buff to her E.